Congratulations to Markus Utke for winning the Laer 2016 Fight Night Combat last weekend. He was seeded first after beating all 10 other jugglers in qualifications, and then defeated Leo Ostenrath in the final 5-3. Markus earned himself 200 ranking points, moving up one place to eighth in the 2016 Race Rankings, and securing his invite to the European Masters 2016. Markus won two tournaments this year (Laer and Hannover) and came second at the NJF 2016. With only one tournament remaining in the 2016 regular season, Danny Cooper's 1000 ranking points also secures him an invite to the European Masters! 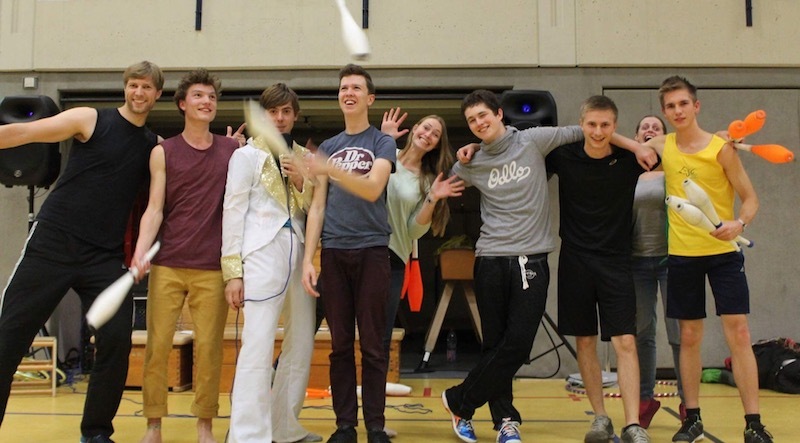 Danny also won two tournaments this year, (CoastCon and Dublin Freshers) as well as finishing in the last 8 out of the 98 jugglers who entered the EJC 2016 Almere. Two more invites remain for the European Masters end-of-year finals... more on this soon.